Things To Do In El Paso, Anthony and Canutillo! El Paso has shops galore, from outlet malls to indoor shopping malls. As would be expected of a city of El Paso's size, it has most of the larger chain stores such as Dillard's, Foley's, Mervyn's, JC Penney, Sears, Target, Wal-Mart, Kmart, Sam's Wholesale Club, and Costco. The name El Paso might bring to mind spicy flavors of Tex-Mex cooking. True - and the numerous delicious Mexican eateries make El Paso the Mexican food capital of the US. But don't feel limited because there's a variety of other kinds of foods available too, including Thai, Korean, Philippino, Indian, Vegetarian, Italian, Chinese, Greek, American, and French. The AAA farm team for the San Diego Padres, the El Paso Chihuahuas, play ball in a beautiful stadium in downtown El Paso, opening in 2014. The El Paso Patriots, www.elpaso-patriots.com, kick the soccer ball in town. They are part of the US Interregional Soccer League. On the college scene, there's the UTEP Miners at The University of Texas at El Paso, www.utep.edu. They play football at the Sun Bowl and basketball in the Don Haskins Center. UTEP is part of the Conference USA. The New Mexico State University Aggies football and basketball teams, www.nmsu.edu, are just a short drive away in Las Cruces, New Mexico. High Velocity is the standard at the El Paso Speedway Park, www.elpasosppedwaypark.com. Special events include dwarf cars, motorcycles, car dealers race, and others. The Sunland Park Race Track, www.sunland-park.com, offers thoroughbred and quarter horse racing from October through May. In the southeast suburb of Ysleta, which is the oldest settlement in Texas, you'll find one of the oldest Spanish missions in North America - Ysleta Mission. It was built by Franciscan priests and the Tigua Indians, who were driven out of New Mexico in 1680 during the Pueblo revolt. Next to it is Ysleta del Sur Pueblo and Cultural Center, which includes a small museum that deals with the Tigua history and has displays of pottery, clothing, and jewelry. There are also gift shops and a cafe, Cacique, which means "chief." There are traditional bread-baking demonstrations and the fresh bread, baked in homes, is for sale. Dance performances take place on the weekends. At the end of the performances, the public is invited to participate in a round dance, an Indian friendship dance. Beyond the Cultural Center is the reservation, which is a residential adobe community for the Tiguas. Visitors are allowed to walk around, but are asked to bear in mind that these are private homes. If you plan to visit, you may want to arrange your trip to coincide with the major celebration, the Feast of St. Anthony, on June 13. Another stop, Chapel San Elizario is nearby on Socorro Road. The structure is on the site of the original mission, which was destroyed by the river. Rather than being built for the Indians, it was intended as a fortified mission, or presidio, for the soldiers of the day. Also on Socorro Road you'll find La Purisima Socorro Mission, which was built on the Mexican side of the border. When the river changed its course and the boundaries changed, it ended up in the US. There are ancient symbols built into this mission, left there by the Piro Indians, who erected it in the 1680s. Concordia Cemetary, so named because the El Paso area once was known as Concordia, is the resting place for the infamous gunfighter John Wesley Hardin, who bragged that he shot and killed at least 40 people, including one man for snoring. There are many other notable southwest historical figures, both the good guys and the bad guys, buried here. San Jacinto Plaza, located downtown, is the original historic city square park. Chamizal National Park is a joint park between the United States and Mexico, located at the south end of the Cordova Bridge, celebrating the cultural and historical connection between Juarez and El Paso. This monument features informal gardens including replicas of several famous Mexican sites - Uxmal, Chichen Itza, and Teotihuacan. This park, spanning about 300 acres (54 on the US side), commemorates a treaty between the two nations involving a border dispute at the Rio Grande. On the El Paso side, there is a small museum that tells the story of the Chamizal. The Los Paisanos art gallery changes exhibits every two months. Performances are given almost weekly at the museum's theater. Some of the biggest attractions are the Border Folk Festival in September and the Siglo de Oro Drama Festival in March. Although the hike is a long one, if you're up to it, explore the many acres of grassy land on the Mexican side as well as the museum, located at 800 S. San Marcial. For beautiful outdoor drives or outdoor parks, Franklin Mountains State Park makes El Paso one of the few cities that has thousands of acres of state park right in the middle of it. The Franklin Mountains run right in between east and west El Paso, and a quick drive up into the mountains on Trans Mountain Road provides for gorgeous views and picnic tables. This 24,000 acre park contains virtually the entire Chihuahuan Desert Mountain Range, including North Franklin Peak with an elevation of 7192 feet. There are various hiking trails you can explore, as well as caves to invade. You'll see springs, cacti, and reptiles. For a wonderful panoramic view of El Paso from UTEP to downtown and over to Juarez, and even a bit of New Mexico, head up to Scenic Drive Park, a city park that provides binoculars to examine the view. From downtown, take Stanton Street north, then turn right on Rim Road. One of the finest views of the area may be enjoyed from Ranger Peak, high in the Franklin Mountains. Cable car rides are available to this scenic look-out. In the middle of the Franklin Mountains is McKelligon Canyon Municipal Park, the spot for many a concert and other festivities including "Viva El Paso." Here too, there are hiking trails as well as picnic areas and an ampitheater. Hueco Tanks Historical Park is only 20 minutes east of El Paso. It is an 868 acre park filled with dramatic terrain, history and outdoor activities. A drive or hike through this park will reveal beautiful, yet strange rock formations that look like giant pieces of Swiss cheese. For 10,000 years people have been stopping by here for a drink because the rock formations act much like giant wells holding the area's sparse rainfall. In fact, that's how the park got it's name: "hueco" means hole in Spanish. Ancient Indian dwellers left more than 2000 pictographs behind. Tours are availalbe to show this artwork and a visitor's center provides maps and a park display. The park's colorful igneous rock formations are world renown and popular with rock climbers from novice to professional because of the mild winters and challenging upside-down climbs. This is a good park for hikers, too. Take Montana east toward Carlsbad and turn left at Hueco Tanks Road. Feather Lake Wildlife Refuge is a man-made lake spanning 40 acres. It is home to various wetland species including 160 different types of birds. When you first arrive, stop off at the visitor's center to get an outline of the park. There will be volunteers to answer your questions and telescopes for you to get an up close view of the wildlife. Ascarate Lake City Park is a 44 acre man-made lake right in the middle of El Paso that's set up for all kinds of water sports. Although swimming is not permitted in the lake itself, there's a nearby Olympic-sized pool. There's also more than 400 acres of wilderness perfect for hiking. 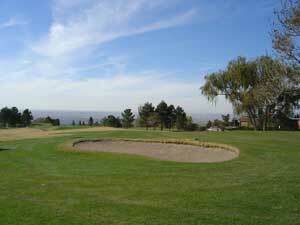 Then for some more outdoor activities, there's nine softball fields and Ascarate Golf Course. Western Playland Amusement Park, www.westernplayland.com, located at 6900 Delta Drive, is right next door with rides, games, and snacks. El Paso Zoo, www.elpasozoo.org, is newly renovated and now offers a tropical pavilion of rare birds, plants, and primates. Some of the most popular animals to see at this 18 acre facility are the spider monkeys and the endangered Mexican Wolf. The zoo is located at 4001 Paisano and Evergreen, across from the County Coliseum. Western Playland, www.westernplayland.com, just across the state line in Sunland Park, NM, has a variety of rides including the ever popular bumper cars. The park is open from March to October. Wet-N-Wild Water World is a water amusement park only a few minutes drive from the El Paso city limits, off I-10, Exit 0, in Anthony. Based on a volcanic garden theme, it has water slides and rides. It's open from May through September. Indian Cliffs Ranch has a children's zoo, live buffalo, a Fort Apache playground, an Indian maze, paddle boats, hay rides, and a rattlesnake pit. There is also Cattlemen's Steakhouse that people fly to visit from all over the country to sample the famous two pound steaks. Exit I-10 at Fabens, Exit 49, then go 5 miles north. American Museum hosts about 10 exhibits featuring regional and nationally recognized artists. Additionally, there is a permanent exhibit - The Art and Legacy of a Vanished People. Border Patrol Museum and Memorial Library takes you on a journey through the history of the Border Patrol. Centennial Museum on the UTEP campus offers exhibits portraying the natural and cultural aspects of the region. El Paso Museum of History hosts a series of exhibits, dioramas, programs, and classes dealing with the history of the area from 1581 to the present. The recently built El Paso Museum of Art, located downtown, is home to many traveling exhibits. The Insights - El Paso Science Museum has more than 100 participatory exhibits involving touching, seeing, smelling, and hearing. Fort Bliss Museum, Museum of the Non-commissioned Officers and the U.S. Army Air Defense Artillery Museum proved a view of Fort Bliss and general military history before the Civil War and through World War II. El Paso Holocaust Museum consists of dramatic 3-dimentional exhibits and original pieces related to the slaughter of 6 million Jews during World War II. Juarez Museum of History and Art, located in the Pronaf area in Juarez, Mexico, has exhibits of ancient artifacts and modern artists' works. Waterfowl of the World gives a close-up view of mounted ducks and geese from the African and American continents. Wilderness Park Museum follows the traces of man in the region in the museum's permanent displays and Diorama Hall. From festive Tejano music to classical symphonies, and from historical tours to a quiet day perusing masterpiece art, this city offers endless opportunities for culture and entertainment, with a frequent overlap or two. El Paso offers plenty of opportunities for live theater. If you're looking for a fine drama, a lively musical, or even some children's theater, chances are you'll find it here. The UTEP Dinner Theater is a fun place to go for musicals. El Paso Playhouse also offers live performances. El Paso Opera puts on fine productions during the year. Also, favorite musicals and Broadway hits are delivered with style by traveling shows at the El Paso Convention and Performing Arts Center. For dance, there are four companies in El Paso, each with its own unique style. Ballet El Paso is one of the oldest in the city, putting on at least three major productions each season. Danzas Espanolas features classical Spanish dance, regional folk, and proud and passionate flamenco. The International Ballet Folklorico is the city's first folkloric group and is nationally recognized for its vivid representation of the Southwest heritage. Dance Theater El Paso puts on full length productions through the fall and winter, including classical, contemporary, and modern dance. If you have an artistic soul then it's sure to receive nourishment at a number of visual arts centers. The Bridge Center for Contemporary Art hosts six to eight contemporary art exhibits a year. It also hosts poetry readings and performances by local and national theater groups and musicians. City Hall Gallery features works of local and national artists and are changed monthly. The El Paso Museum of Art, www.elpasoartmuseum.org, located in a beautiful new building in downtown El Paso, houses the Kress Collection of the Old Master paintings, Spanish, and Mexican Colonial art, and other works of the Southwest. The museum also displays works of local artists. El Pasoans love their music. Luckily the city offers music for every conceivable taste, from rock 'n roll and coutry to Tejano and classical. The El Paso Symphony Orchestra, the oldest symphony in Texas, offers several classical concerts each season. Sometimes pop music, including jazz, is performed by Kinder Concerts, in December and February. Early Music Consorts performs music from Medieval times to the Renaissance period. Adding to the authenticity, performers dress in period garb and use replicas of historic instruments. El Paso Community Concert Association offers five performances each season with both well-known artists and emerging talents. El Paso Pro Musica delights audiences with choir and chamber music as well as classic music dating back to the Renaissance era. The season runs from October through April. Festival Zarzuela performs at UTEP and includes folk opera dating back to the 16th century. It includes dancing, singing, and spoken recitation in both English and Spanish. The El Paso Opera Company, www.epopera.org, is one of the newest but fastest growing performing arts groups in the city. They put on two operas a year and also work to promote appreciation and understanding of opera. One of the most enjoyable music programs is Music Under the Stars, put on by the City of El Paso. Every Sunday evening throughout the summer free performances are given by a wide variety of talents at the Chamizal National Park. An easy way to get to know historic El Paso is by letting someone who knows the area take you around. The El Paso-Juarez Trolley Co. offers several tour options, the Border Jumper Trolley makes hourly daytime runs to Juarez, stopping at shopping malls, outdoor markets, and wonderful restaurants. You can even set up your own schedule with an All-Day Pass. An additional offering is a 31 passenger trolley, which can be chartered for special occasions. If you're visiting El Paso in the summer, try the Trolley on a Mission, which will take you to several missions as well as the only jail that Billy the Kid broke into. For those of you visiting El Paso during the holidays, there's the Christmas Trolley Light Tour, in which you go caroling on a three hour tour of the Spanish luminarios and historic neighborhoods with beautiful traditional Christmas lights. For those with a do-it-yourself attitude, consider taking a walking tour. The Fort Bliss Walking Tour is on the military reservation. Pick up the literature for the tour at the Air Defense Artillery Museum. A highly recommended walking tour, the Downtown Tour, takes you through the nostalgic heart of El Paso. While downtown, tour the Magoffin Home State Historical Park. This 19 room territorial style adobe building was constructed in 1875 for a local prominent family. It contains family artifacts and 1 1/2 acre of restored landscape. If you by chance like games of chance, then you're in luck! The El Paso area has a casino - Sunland Park Racetrack and Casino, www.sunland-park.com. Located just over the New Mexico border, games go on seven days a week. Request our Free El Paso, Anthony and Canutillo Relocation Package. It's packed full of useful and important information about the El Paso, Anthony and Canutillo, Texas area. Don't move here without it! Remember: we'll send it to you for free and without obligation.